LONDON — By improving the accuracy of refereeing decisions, video review was meant to cut out moaning from coaches. The Tottenham and Chelsea managers have other ideas. "I don't like," Pochettino said after the 1-0 win. "I think it is not clear what are the rules." 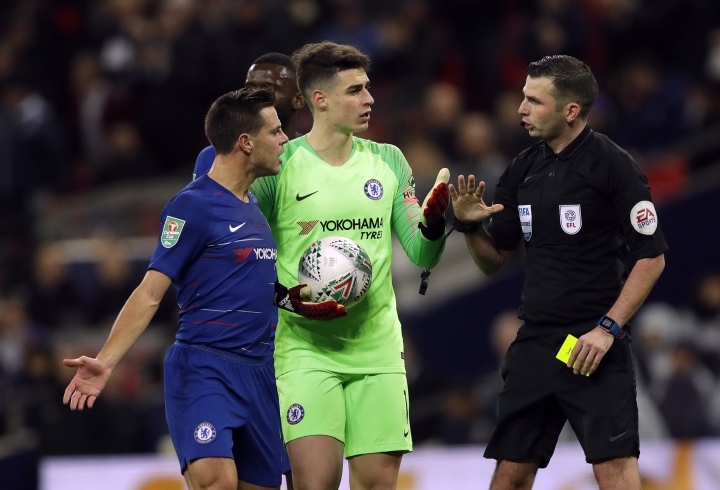 Chelsea manager Maurizio Sarri readily agreed, unhappy about how the penalty was awarded at Wembley Stadium in a rare use of VAR in English football. After a lengthy delay, replays determined Kane was onside and then fouled by goalkeeper Kepa Arrizabalaga when he rushed clear on goal in the first half. Recalling how VAR was a "disaster" when first introduced in Serie A last season, Sarri claimed Chelsea's own camera gave a more accurate reading of Kane's positioning than the broadcast feed. "Kane was offside, clearly offside," Sarri said. "But it's not important. It's more important that the linesman stops the run. He didn't." 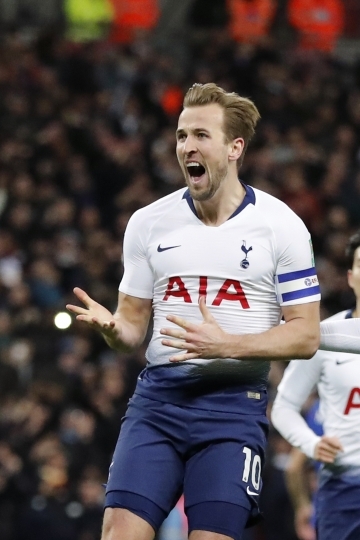 Kane, naturally, was delighted to score his 160th goal for Tottenham in the 26th minute, moving to fourth place on the club's all-time scoring chart. "I made the run, just played to the whistle," Kane said. "I nicked it round the 'keeper and I think it's a clear penalty. It's just whether it's offside or not. VAR is there for a reason and I'm sure they got it right." VAR is only used in England in some cup matches before its rollout across the Premier League next season. "We still have six months to improve the system," Pochettino said. "There's a lot of work to do." 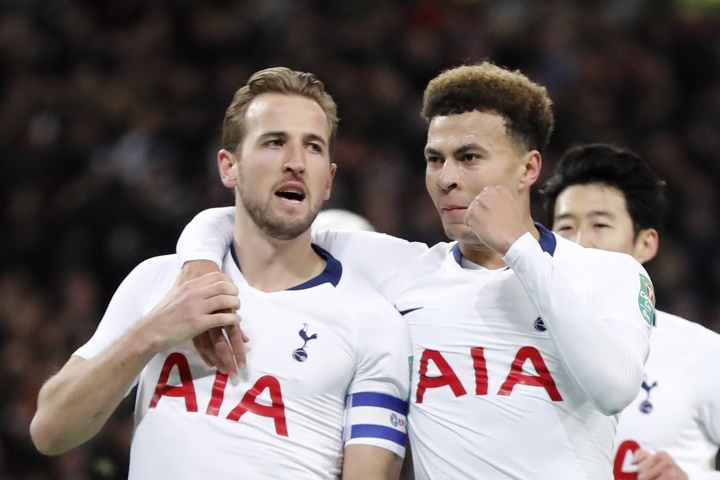 Kane's goal allowed Tottenham to complete a run of three consecutive victories against Chelsea in all competitions for the first time since the early 1960s. 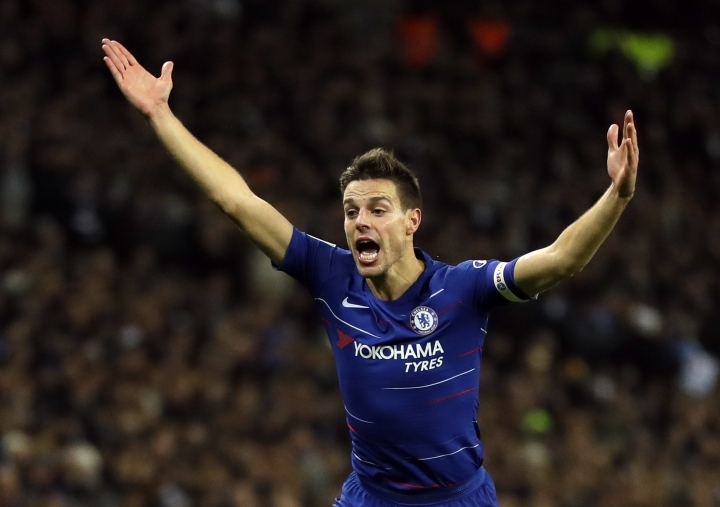 Tottenham has finished above Chelsea in two of the last three Premier League seasons, although the west London club won the title in the other year. Winning his 250th match in charge of Tottenham pushes Pochettino closer to winning a trophy that has eluded him. The League Cup is the last trophy won by the club 11 years ago. The second leg of the semifinal is at Stamford Bridge on Jan. 24, with the final back at Wembley — Tottenham's temporary home — a month later. The buildup to the Tuesday's game saw Tottenham and Chelsea urge fans to behave themselves after a focus on recent incidents of discriminatory abuse. But three men were arrested at the game for racially aggravated public order offenses. Police did not specify which team they supported, only listing their ages as 17, 20 and 23.